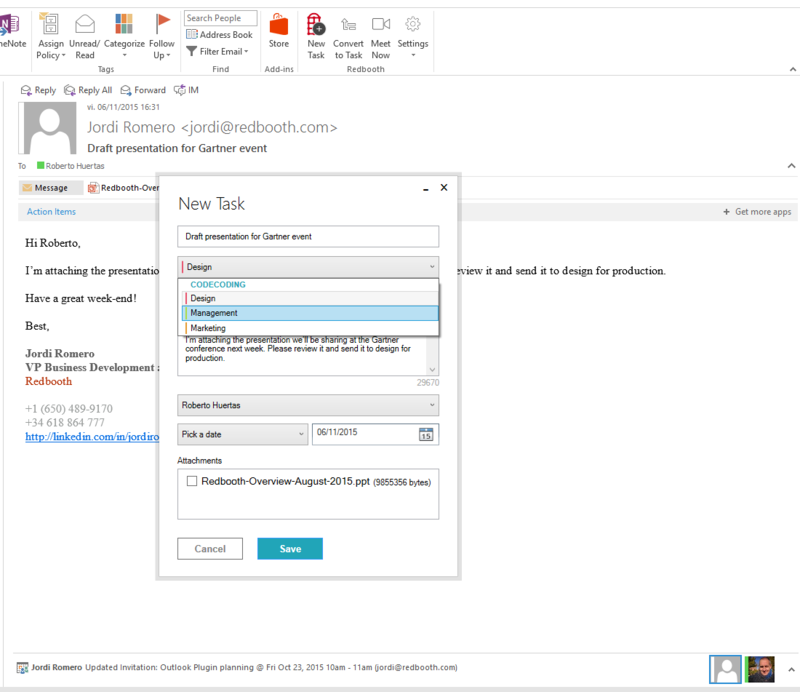 The Redbooth for Outlook plugin enables fast and easy collaboration in your inbox. Simply carry the subject line of an email as the task title, the email body as the task description, and upload email attachments directly to the Redbooth task. You can select the workspace, task list, assignee, and due date within Outlook as easily as you would if you were working in Redbooth from your browser or desktop and mobile apps. Learn more about how to install and use the Outlook plugin in our Help Center.